Honey wine and duck supper at Noble Savage on Sat, Oct 3, 6 pm - 8 pm, buzzing the LFP movie "Honey and the Hive"
Duck in a reduced pomegranate-honey sauce and honey-glazed salmon are two of the six courses being served by the kitchen of David Stoddard at Noble Savage Tavern on Sat, Oct 3, 6 pm to 8 pm, says Lee Slack. There's a different mead, or honey wine, paired with each course. "Among them are 2 African meads and 2 Danish meads," says Slack. The dessert is the honey-soaked Mediterranean treat called baklava. New Orleans filmmaker Austin Alward brought the honey beezness to Shreveport and to the Noble Savage with his 11-min Louisiana Film Prize top twenty film, "Honey and the Hive." The Noble is buzzed: "You don't get to do something different like this very often," Slack notes. "We are having fun with it." Alward landed at the Noble when he was chasing a school bus as a promotion center for his film. He has secured the bus owned by Savage waiter Peter Fetterman. The bus, being turned into a giant bee and a center for education about honey and bee-keeping, is parked at 516 Texas St. Visit the Bumblebus during the La Film Prize weekend to play Bee Hive Corn Hole and have all-ages fun. The Noble Savage mead and game supper is six courses for $60. Slack says they already have 25 reservations. Check to see about supper openings at 221-1781. As an LFP ambassador devoted to "Honey and the Hive," I encourage you to enjoy the honey hoopla and see all 20 films so that you can vote. You may find yourself charmed by this poetic movie. 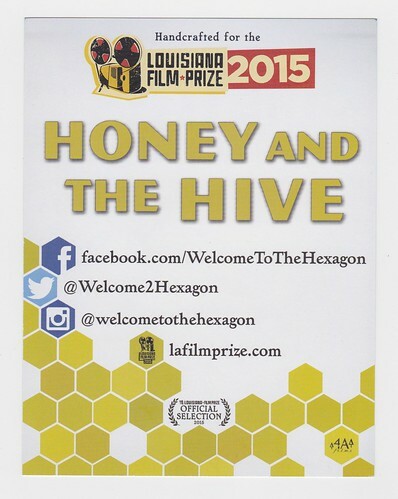 If you are interested in "Honey and the Hive" Discount Tickets to the LFP and are committed to watching both batches of short films - 10 each - message me at 318 272 6045 or Austin Alward, director-producer, at 323 899 6154. Or see regular ticket options at LFP. If you are a Mardi Gras aficionado this might put a smile on your face in advance of the early advent of Fat Tuesday, which is Feb 9. Pierre Kwenders' (the stage name of José Louis Modabi) song is called "Mardi Gras," says Npr.org. Born and raised in Kinshasa, Democratic Republic of Congo, this singer and DJ moved to Canada as a teenager and is now based in Montreal. This is an electronic track redolent not just of Congolese dance music, but also of distinctly Acadian flavors, between some suave fiddling and a rap from Jacobus, aka Jacques Alphonse Doucet of the band Radio Radio. What if Shreveport demonstrated social leadership by providing haven for 20 Syrian refugee families? It would not be cheap. I read that the Europeans typically invest $14000 in an immigrant. Shreveport would have to invest much more to bring them here. Having a group of very specific immigrants would give Shreveport a prism through which to see our own social limitations. On one hand, it would distract us from current issues. One the other hand, the insight gained by watching and listening to the refugees would give us a new way too see ourselves. Have other American communities stepped forward to invest in Syrian immigrants? There may be a matrix that has been developed into which we could step. Are we ready to give up a notch or two of Shreveport comfort by extending ourselves in this direction? Posted on Facebook on 9.27.15, this modest proposal drew quick and varied reactions from friends of mine - friends with strong opinions. The responses have been edited to a small degree. Cheryl Hagar: I would take a family in and feed and clothe them myself. There but for the grace of God goes I.
John Wesley Hampson: Refugees might even have problems with the condition of this city. Our "leaders" would never consider it, unless on our dime. Robert E Trudeau: Agreed. I think if we did this we would find new leadership. The current gang of politicians - elected with disgust by voters like me - are going to have to be ignored. Will Broyles: While I understand the need to help others, I feel like we should get our house in order as a city before we continue to take on the burden of others in this way. But for private means, this seems well-intentioned but possibly mis-prioritized. And you're correct about the leadership problem here. It's damning. Robert E Trudeau: This is actually about getting our house in order. Lacking the ability to face our issues head on - I think that is painfully apparent to you - I propose an end run. Syrian immigrants may seem of dubious priority to you. I understand. So let's look at multiple priorities. Robin Norman Jones: I know many immigrants that have a huge and positive impact on our local community. Personally, I don't think God's community has any boundaries. Joe Casciola: What really should be thought of is what the benefits of this could be 30, 40, 50 years from now. It should be approached as an investment. Valerie Loridans I'd do it. Jeff Abney: And what if you really asked groups to put their money where their mouth is - local churches? We have at least several churches (my own included) in Shreveport-Bossier who could afford to. Madison Britt Wynne: Theres also an islamic center in town that could provide funds/insight. George A. Tharpe III: My issue is look what we need to do for our own homeless community. We have a serious homeless crisis in this city and it just amazes me that people want to bring others from other countries in to help them BUT wouldn't think about helping those that are already here that need our help. Robert E Trudeau: George, with respect, I am not sure you have a fact-based point to back up " a serious homeless crisis in this city." As a person who is in touch with homeless issues by communicating with organizational leaders - donating art to fundraisers being one steady reason to communicate - and by being a steady observer of life on and around Texas Ave and Hope St, I have come to believe that needs are largely being met. Not perfectly, but in a big picture. George A. Tharpe III: Well as a businessman that has worked in and around downtown for the last 8 years, it would 'seem' to me that just walking around the streets by the courthouse, one can come to simple conclusions....not to sound heartless but do those in other countries that are having a hard time deserve our money more than those Americans that need our help? Robert E Trudeau: Indeed, I see where your point originates, George. 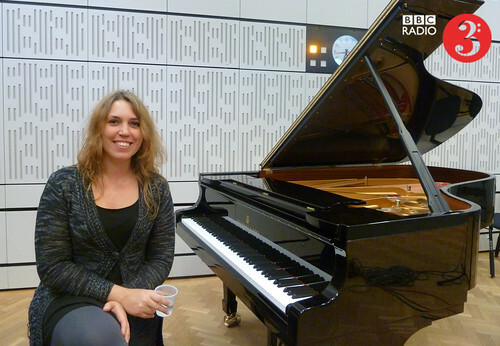 Ania Swiergiel: If we always hesitate to help someone because someone else needs help, we will never help anyone. And not to diminish the needs in this country, but there's a significant difference between poverty and imminent death. Jeff Abney: From a purely utilitarian standpoint, many (not all) of our local homeless population suffer from mental illness, substance abuse, and other co-morbidities that will prevent them from ever fully benefitting from efforts to move them out of homelessness. Ania Swiergiel: I admire your pragmatism Jeff. It's a logical point of view, but it worries me to go down the route of grading human utility. No life is more valuable than any other in my opinion. It's not really our business to grade them, just to help them. Lurah Blade: I've heard some voice their opinions saying, "save the whales?... How about the babies?"... Why can't we do both? Does one thing negate another? One man may have an unction(in his spirit) to help this man,.. And one man may have an And one man may have an unction(by the spirit) to help another man... If we are one,.. Then to help one man IS to help another man and in truth, help ones own self.. We may not be able to do it all, this even more speaks to why we need each other.. We are not created to be without help..if we do good to one we have done it to all, help the homeless here, help the Syrians.. It will and never should be one or the other... One means all. Much love 'er body. John Perkins: Our local experience with refugees from South Viet Nam in the 1970s was positive. It was led by the Catholic Church if I remember, but I have lasting friendships and positive memories from those days. Sister Margaret was very strong in that respect. Mark Goff: The city has a system to deal with our homeless. Liz Swain of the DDA has worked hard to provide food and temp shelter for the homeless. I used to provide space for different agencies to provide food. I guess it was no longer necessary. Madison Britt Wynne: I think what Robert was getting at is that showing leadership with this issue could serve as a catalyst for other communities to follow...this mindset could be applied to local homeless of course. The alternative? Wait on governments to do something...maybe some of the blame is with us, the citizens. What if 2 families were taken in? Suggesting we shouldn’t help because others need help is fallacy. Steve Allen: Hey, the Syrians I've heard speak on tv have all been intelligent educated middle class professionals, family people. I see much positive in inviting them. Chuck Fulco: HELL NO! allow the radical muslims to continue to destroy their way of life. We have enough destroyers in our government, and they don't need any help! We can observe and "learn" from those already here..
Betsy Eldridge Ebarb: Robert, I appreciate your bringing this up. We should always at least discuss and put on the table ideas to help others. This is a great point of discussion. Tabby Lane-Michaelson: Humans of New York is, as of this week, beginning to tell refugee's stories. The first installment of Brandon's interviews has left me completely stunned and heartbroken. To think that is only one of Millions of stories that are happening right now is unfathomable. Over 2/3 of Syria's 24 million population have fled or are in the process of fleeing as we speak. If you are not following HONY, do so now. This is not a European, or middle eastern problem. This is a world problem. A human problem. We are all human, no matter where we are born, what religion we are, or what color our skin may be...we all need to remember that. To see and hear what is happening right now makes me want to do something, anything I can to help. Phillip Messinger: We don't need a "a prism through which to see our own social limitations"! There are already too many silly academics offering up experimental interpretations of the limitations as it is. Maybe we could just open the prisons to get a better understanding of crime too, while you're at it. We can't help anyone else until we straighten out the problems we're struggling with already! Kevin Teague: Let me be clear. No. Jim Cade: What if Shreveport took care of its own; try the rescue mission if you are truly wanting to show social leadership. Carrie Journell: There is a lot of screening that goes into being a refugee and requirements to maintain that status once they get here. Our last apartment in Austin housed many refugee families and was like a model UN. Every morning they went to English and American lifestyle classes before they headed to work. I think before the government moves refugees to a city, they need that infrastructure in place to provide the help and education they need to adjust to life in America. Alida Soileau: Lobbying churches, nonprofits, city government? Count me in. Billy Judd: Leave them where they are. Help a vet or the homeless that are here now. Tabby Lane-Michaelson: Germany is doing this with the hundreds of thousands flooding their borders. They, as a country, have programs in place to teach refugees their language, customs, laws, etc...all to help them assimilate in to their country. Knowing what these refugees have been going through, they'd gladly take these classes in any country, I'm sure of it. Carrie Journell: Right, but you need things like refugee resource centers that know how to help them get social security numbers and green cards and it helps to have things like grocery stores that have the foods and spices and soaps that people from other continents are used to seeing. Here's a welcome video for refugees if you have the time to watch it. It'll give you a sense of the institutional needs of refugees. Kim Putman: It doesn't have to be help our needy or theirs; it's possible to do both. See a need, fill a need. Robert, I have an extra bedroom and bathroom and I would be glad to help. Robert E Trudeau: Cool, Kim. In this city are many more generous people like yourself. This chat may lead nowhere except to re-affirm the widespread resources and generosity that are part of Shreveport's backbone. As Carrie Journell pointed out above, helping refugees is a complex task.But is is do-able. Honor Cobb: Could you set up a Go Fund Me Account for it and see.how many families we could "afford" to assist? Robert E Trudeau: That would be a cool testing of the waters, Honor. Though I am not in a position to do that at this time. LaShea Brittain: I think this is a wonderful idea. If I am remembering correctly, Shreveport hosted refugees from Kosovo in the 90's. Kay Kennedy: I have an extra room and would do all I possibly can to help. 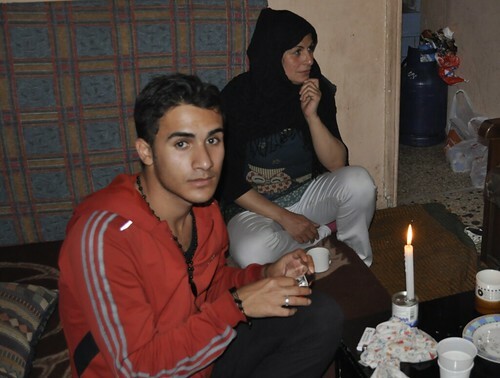 What a beautiful country that has been destroyed and these individuals and families need our support. George A. Tharpe III: St Mark's Episcopal Cathedral. Phillip Messinger: Why bring these people here and take on the much larger risk of disturbing the already precarious state we have here rather than doing something about the situation(s) that have caused these people to flee their homeland? How in the world does it make sense to try to remedy problems in that part of the planet by sacrificing the shaky state at home. We have too much to repair and improve here to take on additional expense and difficulty. What about the unfortunate people here who will resent their having to wait longer to reach the front of the line or even lose their place? How are we going to afford to accommodate refugees when we are already enduring shortages from decades of neglect of our own infrastructure. How many "volunteers" are available to tend to street, bridge and sewer repair/replacement? It's like saying, "we got wheels wobbling and about to go, nobody's getting off the wagon, maybe putting more up there will fix it. Let's take care of the people already here who need help. Madison Britt Wynne: As we’ve already pointed out, and brushed over by you, MANY of these people are highly educated individuals, lawyers, doctors, business owners, teachers, etc. Arranging temp shelter and supplies is not the same as trying to fund a problem that can only be fixed by more funding (homeless for example). You must realize that if we followed your logic, then nothing would ever get done, because there is always a bigger problem right around the corner. What you’ve refused to see or accept, that this is not an ordinary problem...this is a government that has decided to murder its own people, resulting in HALF A NATION to flee. And you keep using this straw man argument. You said "rather than doing something about the situation(s) that have caused these people to flee.” No one has proposed trying to solve the problem that caused them to flee.... this is clearly federal matter between national governments. The proposal was to take a handful of individuals...not solve the Syrian civil war. Again...we’re not trying to solve the Syrian civil war, just trying to practice those good morals we were all taught in Sunday school. Chase Boytim: FACT: if people don't step up, you could see 900,000+ people murdered. How many of the naysayers are Christians. This is not about money. We are talking about men, women and children. Europe is taking many more than the U.S. I would love to see Shreveport step up and at least take a minimal population of refugees. Robert Boyd Dunlap: We did help create the problem. Where do we start? I think its time to shake this place up. If we were going to take care of the people here who need it, we'd be doing it already. Phillip Messinger: Don't buy into blaming the US for so much when most of what is wrong has been caused by what we stopped doing. You might want to start by learning a few more languages, particularly phrases like, "no, please," "I'm sorry." and "take as much as you want, that's all I have." Robert E Trudeau: A coalition of ministers - they have the manpower and potentially the money - and social workers - awareness of how to finesse the organizational team building - would have to take a look at my proposal. I have a colleague who's going to look into the immigration-related issues. Five screening theaters will give the 2015 LaFilmPrize attendees useable options on the Oct 2 - 3 weekend, says Gregory Kallenberg. Friday, Oct 2, at 9am the ticket/pass exchange will open at Tipitina’s Music Co-Op - 700 Texas Street. Films begin Friday morning at 10am. From that point forward, films will screen nonstop at the five venues around downtown Shreveport and one in Bossier City. "You may pick any screening you’d like to attend but remember, theaters fill up fast," says Chris Lyon. "Show up early and be ready to wait - and have some unscheduled fun in the process." Ticketholders may vote only after they have seen all 20 films. Saturday, Oct 3, the ticket/pass exchange opens at 8am. Screenings begin at 9 and rotate all day long. "You must have voted by the end of the festival day on Saturday night for your ballot to count," says Lyon. Sunday, Oct 4, LFP will announce the winner in a live stream online at lafilmprize.com. 11:30am, Live stream will begin. Noon, Awards Ceremony Begins. "By 1 pm, we will know the winner of Louisiana Film Prize 2015," says Lyon. Btw, Shreveport Blog author Robert Trudeau and partner, Talbot Hopkins Trudeau, are ambassadors for a charming, poetic 11-minute movie called Honey and the Hive. It was made by New Orleans filmmaker Austin Alward, a fellow who fell in love with Shreveport when he worked on the Hank Williams bio, I Saw the Light. Honey and the Hive is about an adopted girl who worries about her fate as her family awaits the arrival of a birth child. She resembles the queen bee who seeks a new home and worries whether the new hive will accept her. 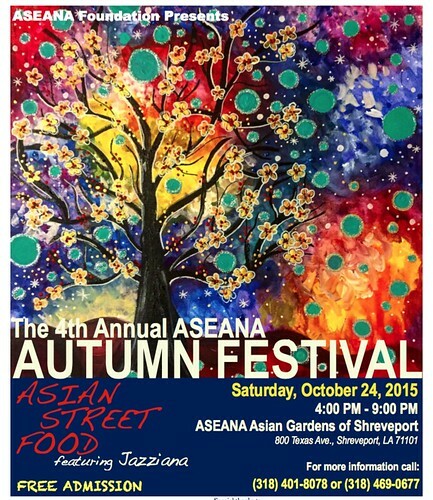 "We would like to invite you to the 4th Annual Aseana Autumn Festival, "Asian Street Food," on Sat, Oct 24, 2015, from 4 pm to 9 pm at The Asian Gardens of Shreveport. Come and enjoy the real Asian Street Food set in an Asian Garden and listen to a free concert by Jazziana! Admission is free," says Mary Grace de Joya Vea of the Aseana Foundation. 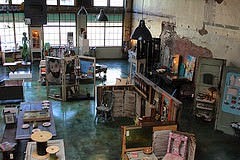 "To those interested in participating as a vendor, please call me at (318) 401-8078 or email me the soonest! Hope to see you all there!" Three Provenance Fall Farmers Markets & Concerts take place in October in Windrush Park: on Thurs evenings, October 8, 15, 22 from 4-8pm. These events are free and open to the public, says Sarah Lowder. There will be fresh produce and meats from farmers around Louisiana and East Texas. Also, handmade crafts, local art, ready to eat food, and more. 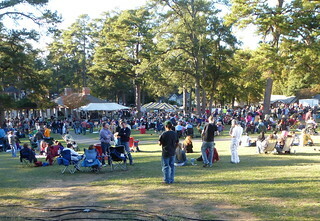 The markets will take place in Windrush Park under the trees. "Come to the Block Party in South Highlands," says Katie Mussat. "First Baptist is hosting another Soak Up South Highlands event on Sun, Sept 27, 5-7pm, on the front lawn of First Baptist Church Shreveport. Live music. Inflatables. 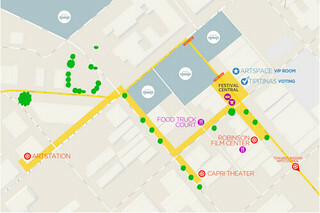 100 ft. Slip n' Slide and food trucks: Ki' Mexico, Fleur De Creme Gourmet Ice Creams, Rib Tip Express, & Lucky's Po-Boys." 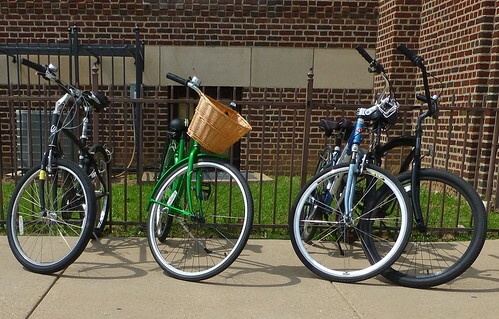 "Sat, Sept 19th," says Ian Webb of River City Cycling, "we will be providing secure bike parking for anyone attending the Highland Jazz and Blues Festival from noon-5 PM at Columbia Park. 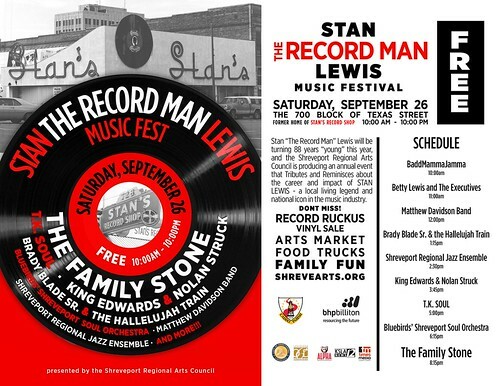 We had a great time last year and this year will be even better with great weather, live music, beer, food and art. Don't miss it! This free festival is the best thing going on in Shreveport! Ride your bike and we'll keep it safe for you while you enjoy the festival!" North Louisiana Gay & Lesbian Film Fest Sept 18 - 24, Robinson Film Center, Shreveport. Gabriela Montero performs with Shreveport Symphony Orchestra, RiverView Theater, Michael Butterman, conductor. Imagine teens from Shreveport and Bossier and Shongaloo gathering around young tech company staffers who have a game to explain and sell. The excitement and sparks between these groups is marvelous to watch. And that happens over and over again at the Bossier Civic Center during Digifest South, Sept 16 and 17. "Participants include top-notch companies in the fields of art and technology putting on a floor show of their latest innovations," says Bossier Arts Council's Robin Jones. "Those seeking education opportunities in the arts and technology will have a chance to visit with educational institutes offering digital media training. The exhibits will feature interactive activities so young and old will have the opportunity to experience all the arts and technology field has to offer." And there is no charge. Like ArtBreak from Shreveport Regional Arts Council, Digifest South has been created to electrify the youth and create a rich future. There's no shortage of ways to enjoy Digifest South, no matter your age. 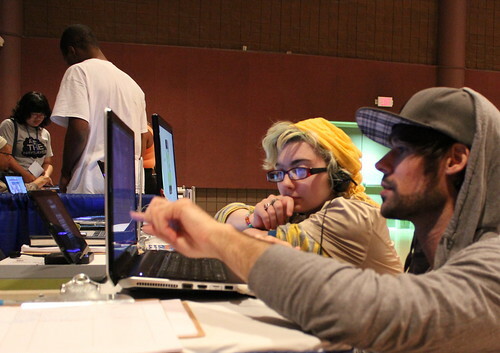 There's Video Game Jam, involving programmers, artists, musicians and designers. There's DigiTalks and DigiPanels. In fact, this writer will be moderator on a DigiPanel on Fri, Sept 18, at 610 Commerce St, Shreveport (318) 455-2001. The 11 am panel is about the business of teaching art so that it integrates with a broad curriculum. Thumping music, a dancing crowd, cold brews and hot, hand made food: that's the reunion known as the Highland Jazz and Blues Fest. Trash pick up- 1-2pm, 3-4pm, 5-6pm (only one hour shift!) Runners- 11:30-2:30, 2:30-5:30 pm Drink Ticket Sales- 11:30-2:30pm, 2:30-5:30 Coke booth- 2:30-5:30." And if you think about the parking and what it does to the neighborhood, you will be happy to be reminded that "iShuttle will be providing a continuous Free Shuttle Service from Mall St. Vincent from 11:30 am – 6 pm. Take advantage of the sweet ride and help us alleviate traffic issues in Highland!" Meadows Museum’s new exhibition, Sacred Symbols in Sequins, offers insights to the beauty and sanctity of Haitian Vodou, says Lisa Nicoletti. A large gallery is filled with early to mid-20th century Haitian Vodou flags (drapo Vodou). It is not difficult to trace the expressive lineage from Haiti to New Orleans Carnival. 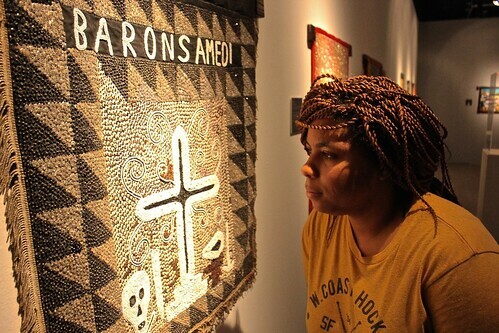 Vodou flags are also one of the roots of the beaded blankets being created in Shreveport in preparation for the Nick Cave performance in March. 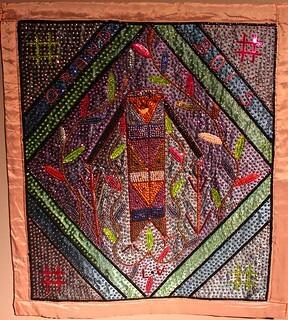 Three rarely exhibited flags from the Meadows collection of Haitian art were donated by Dr. and Mrs. Henry K. Miller of Baton Rouge. The Millers collected art directly from Haitian artists during more than forty years of service trips to Hospital Albert Schweitzer in Deschapelles, Haiti, where Dr. Miller volunteered annually. On October 2 at 6 pm, Dr. Andia Augustin-Billy, Assistant Professor of French, will present "Haiti: Myths and Truths," drawing upon her experience growing up and teaching there. Meadows Museum of Art is at 2911 Centenary Boulevard. It is free and open to the public Tuesdays through Fridays from 11 am -6 pm and Saturdays from 12-4 pm. For more information or to schedule fieldtrips, call the Museum at 318.869.5040. Examining the Baron Samedi: Chelsea Perry. Box Office is open for River City Rep's production of Kenneth Lonergan's The Waverly Gallery, starring television and stage veteran Rosemary Prinz, says Patric McWilliams. 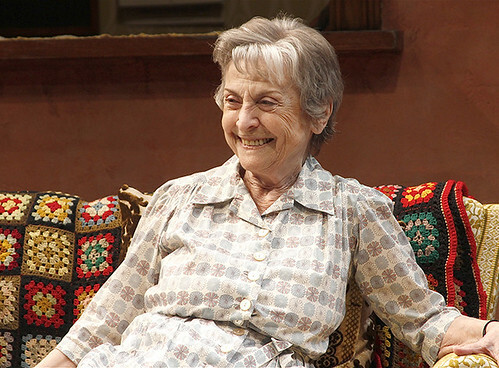 The play is an award-winning, witty perspective o Alzheimers. "Celebrate the kickoff to our Tenth Anniversary season opening night and enjoy wine, food and meet the actors after the performance," says McWilliams. Performances at East Bank Theatre on Sept 9-10-11-12-13. Kevin Barnes has yet to win a MacArthur Genius fellowship but I would imagine that he's been short-listed many times. He is a pop musician but is also a poet ("Empyrean abbatoir")of wrenchingly clear voice. Writing melodies and harmonies that bring to mind the Beatles, he likes playing in lysergic-drenched meadows. He is a cousin to Prince when he wants to see the audience dance. One of my favorite Barnes works is "Hissing Fauna, Are You The Destroyer?" (2007). I also kneel at the altar of "Lousy With Sylvianbriar" (2013). That one was about his break-up with his wife of some years. But he's prolific and there is truly much, much more music to dig. With his protean voice, love of tight harmonies and flair for costumes and makeup, Barnes is devastatingly cool. He is hideously aware of the vicissitudes of struggle. And how to laugh the sh*t off. 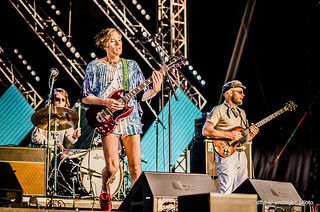 The latest from show producer Chase Boytim is that Of Montreal is bringing a confetti machine and psychoactive light show. 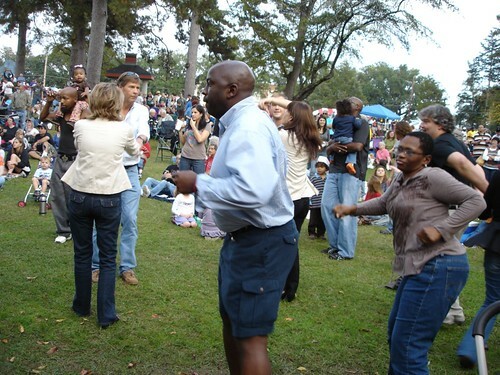 And that chef Gordon Nurse will be serving gumbo under the tree, backa the house. 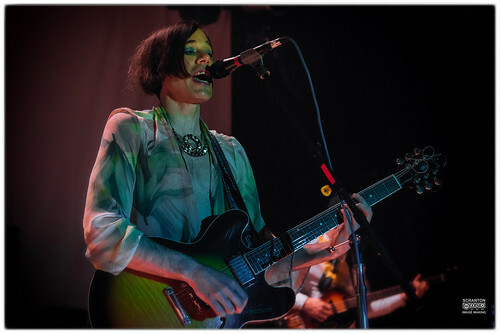 And that the openers go on at 9 pm and of Montreal at 10 pm. Tickets to the Thurs, Sept 3, show at Bears Fairfield. Surface to Air Missive opens.